Marcus Ericsson talks Sauber's F1 revival and finding renewed motivation following a difficult spell of uncompetitiveness. 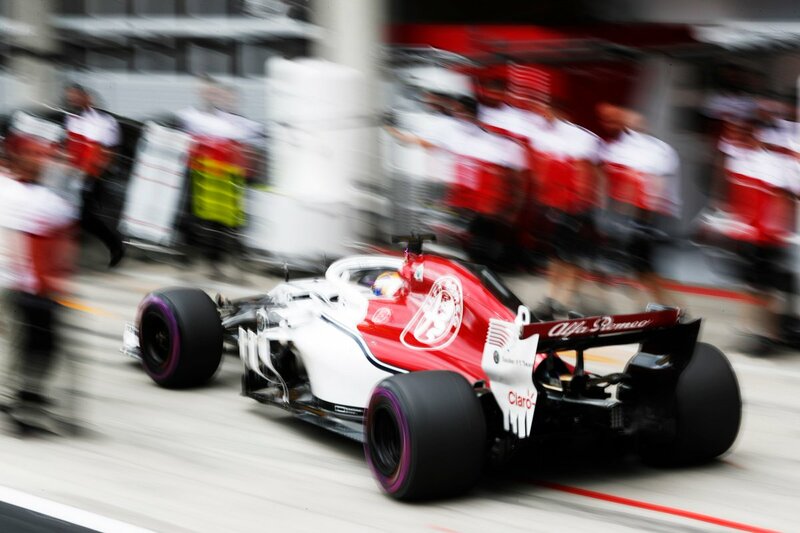 Crash.net's Lewis Larkam sat down with Marcus Ericsson in Hungary to talk about Sauber's impressive Formula 1 revival, why he feels he is driving better than ever in 2018, and dealing with the hype surrounding rookie teammate and Ferrari protege Charles Leclerc. Marcus, how would you assess this year so far at the half-way stage? Marcus Ericsson: I think it’s been a good first half. First of all as a team we have done an incredible job and we should be proud of that. Looking at where we have been as a team in the last few years to where we are now, it’s very impressive to see that change of form. I feel very much a part of that so I think it’s been very, very good. For me personally, I think the last two years have been very difficult, I didn’t score any points. So to be back scoring points and fighting for points every weekend, I have five points now in the bag so I’m happy with that. Of course you always want more, I’ve had a couple of 11th places which could have been points with a few more laps in those two races so there’s always things you want to do better but in general I think it’s been a good first half. You are on course to beat your previous best season in F1, do you feel that you are driving better than ever? ME: Yeah I feel that and I think I have developed as a driver over the years. It’s been difficult to show that because the lack of performance I’ve had in the last few seasons but I feel this year I have been really showing a good level in my driving and I feel like I’m driving at my best. I still feel there is more to improve, especially on Saturday’s. I need to find a way to improve my qualifying performances because then I think my races will be even better. Where do you feel you are losing in qualifying and how do you think you can turn that around? ME: I think it’s a combination of things. One is the way the car feels on low fuel over one lap, I’m struggling a bit there with the feeling. Especially with the rear of the car being a bit edgy, I’m struggling with that. We are working on that in the set up and also with updates to try and help. I think it’s also a confidence thing because when you have a bad form in qualifying it comes into your confidence and you have to work really hard to get out of it. If I had a good qualifying that would also help things massively as well. I keep working on it and I’m not hiding it, it is one of the points where I need to improve. I think that’s important and I will make sure I turn it around. 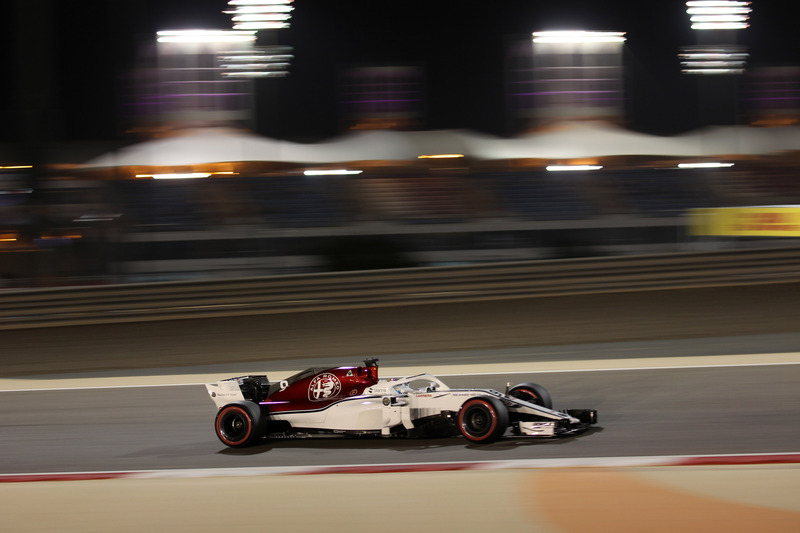 Sauber has been quite the success story this season with the improvements the team has made. How much of a confidence boost is it to now be able to challenge the midfield and fight for points every weekend? ME: It’s just a different thing altogether to go to the race weekends compared to the last few seasons because the last two seasons I knew we needed a big crash, we needed the weather to turnaround completely or we needed so many outside things to happen to be able to have a chance to score and that’s a very sad way to go into a race weekend. You could only compete with your teammate really so that was tough mentally. Now we go into a race weekend knowing that if we do everything right we will be there and fight for points on a Sunday. If we mess it up and we don’t do a good weekend then we will be at the back probably, but we are in that mix and it’s such a nice feeling and it’s so motivating as well for me and for the team to know that going into every weekend. Also you can see back in the factory as well how much people are motivated and happy to be back fighting. Are points at every race now the approach the team can take into each weekend? ME: One hundred percent yes. There’s been a lot of changes to the team with Alfa Romeo coming in, and key figures like Frederic Vasseur and Simona Resta joining. Just how much of an impact has this had on Sauber? ME: All of these things have had a big impact, with Alfa Romeo coming in that was a massive thing for the team and to team up with such a historical and legendary brand has been a super big boost for everyone in all aspects really, so that’s helped a lot. Fred [Vasseur] as a leader, he’s been really structuring up the team in a great way. We have a lot of other people that have been coming in during the last 12 months that’s made a difference as well. Now with Simona as well, it’s a very good signing so it will be interesting to see what he can do for the team. I think all of these things, it’s the combination that’s made the difference so it’s nice to be part of that journey and see the team develop. What do you feel is possible next year given this year’s progress? Could Sauber be leading the midfield next season with this rate of progress? ME: I think it’s not an unrealistic aim to have. As a team you need to always aim high and I think with the rate of progress we made this year, I think for sure it has to be our target to be in the top of the midfield come next year. We have to see but I feel that’s not unrealistic. So getting back to almost the 2012 level of success? ME: Yeah. I think the potential in this team is massive. If you go to the factory the facilities are great and the wind tunnel is great. If we are able to continue like this, we should be able to get back to that level. And the immediate goal is to overhaul Toro Rosso? ME: At the moment yes, I think we are two points behind and that’s the immediate goal to be ahead of them and them take the hunt to the guys ahead. Your teammate Charles [Leclerc] has been branded a star of the season. How do you feel you are shaping up against him? ME: It started off very well. The first three weekends I was ahead of him, which was good and then he’s been doing very good. He’s done very well, especially on Saturday’s, he’s been very impressive but I think on Sunday’s we’ve been very similar. It’s just been in qualifying where he’s had the upper hand. I feel like I’ve done a good job compared to him and that’s been good to show my skill like a driver like him because there is no question, he is a super talented driver and everyone sees him as a future world champion. So for me to go up against him and to perform, it’s been good. Is he the best teammate you’ve ever had in F1, the hardest to beat? How does the hype around him affect you? Is that a distraction for you or do you see it as a positive thing because a lot of attention is on him, allowing you to get on with your job? ME: You can see it in different ways but I see it as a positive thing because it means the spotlight is on us as a team and on us as teammates as well and I just see it as a motivation and an inspiration so for me it’s been positive. Me and Charles get along really well, so we can talk about things and discuss things. So that’s been really good. In terms of your future, are you expecting to be here next year? ME: That’s what I’m wanting and hoping for, but my contract expires this year so I need to perform. This is the time of the year where these things are really getting into the right time of year, so I just really need to perform and if I do like I did in Germany to show that I should be here for next year. That’s my goal. You feel like you are fighting for your career and more results like Germany will help your cause? ME: Yup. One hundred percent so I need a few more of them.